Melissa Febos is co-curator and host of the Mixer Reading and Music Series, she holds an MFA from Sarah Lawrence College, and teaches at SUNY Purchase College and The Gotham Writers’ Workshop. She is the author of Whip Smart. "Anyone who's read Febos . . . knows that her work explores boundaries as deftly as it defies categorization. In this new collection of essays, she once again obliterates convention with her erotically charged and intellectually astute recollections of family, relationships and the search for identity." - Esquire.com, “The Best Books of 2017 (So Far)"
"Riveting . . . emotionally raw and stirring in a way that will have you aching for more." 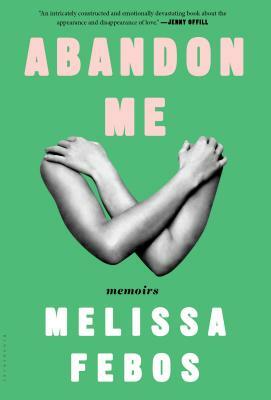 - Newsweek, "Best New Books of the Week"
"Intimate and mesmerizingly vulnerable, Abandon Me is a boo[k] that gets at the heart of who we love, how we love--and why." - Refinery29, "Best Reads of February"